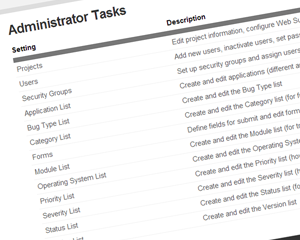 Users can instantly see the state of a project upon loggin in. 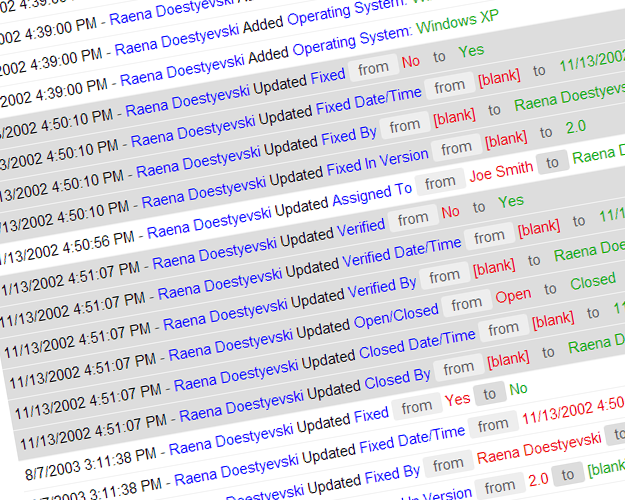 Users can see a list of bugs "Assigned to Me", most recent bugs, recent activity, and "Submitted by Me." 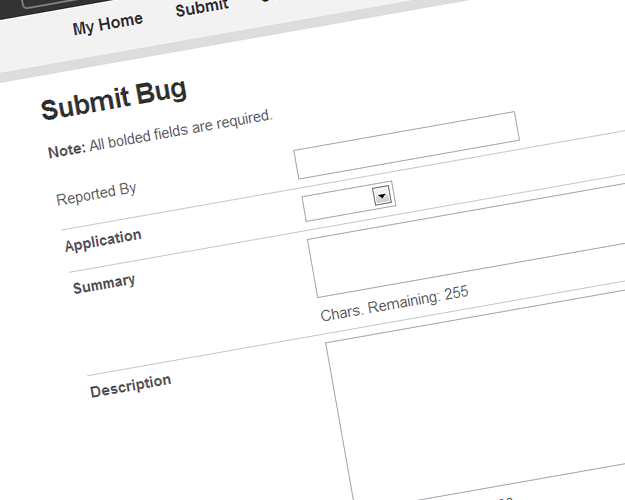 It's easy to submit a bug - simply enter the bug information and click the submit button. 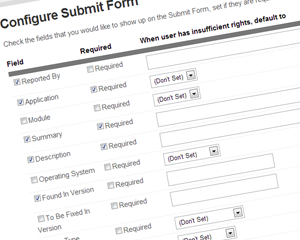 Administrators can define the fields to have available on the submit form. 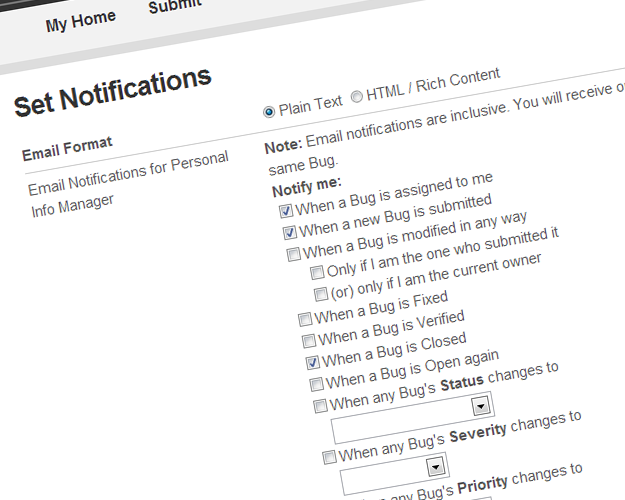 Users can be notified via email any time something changes in your project. 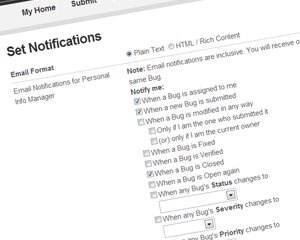 Users have complete control over their own notifications. 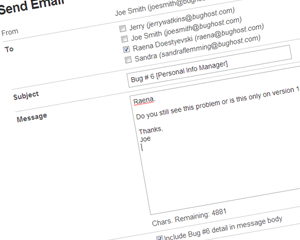 It's easy to find and display bugs in any given project. 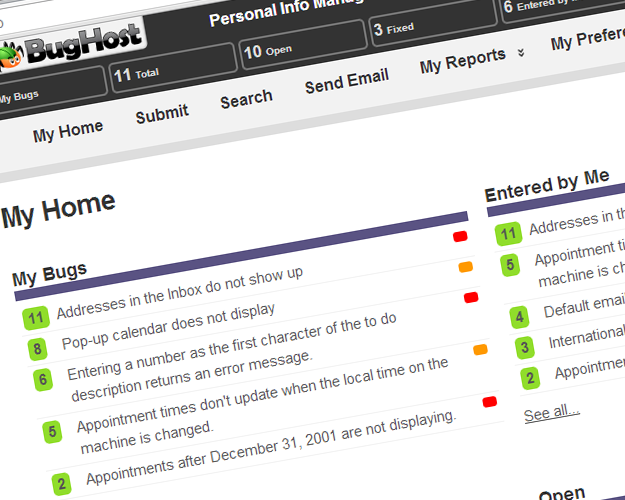 A simple user interface gives users complete control over specifying search criteria. 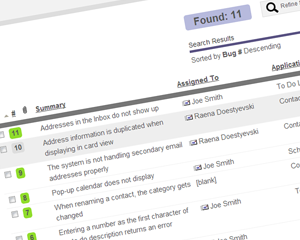 Users can save these custom searches for later use by quickly accessing them under the reports menu. 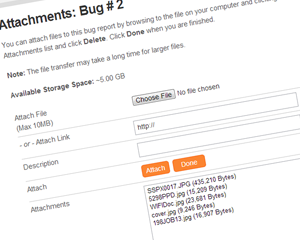 Easily upload files of any type. 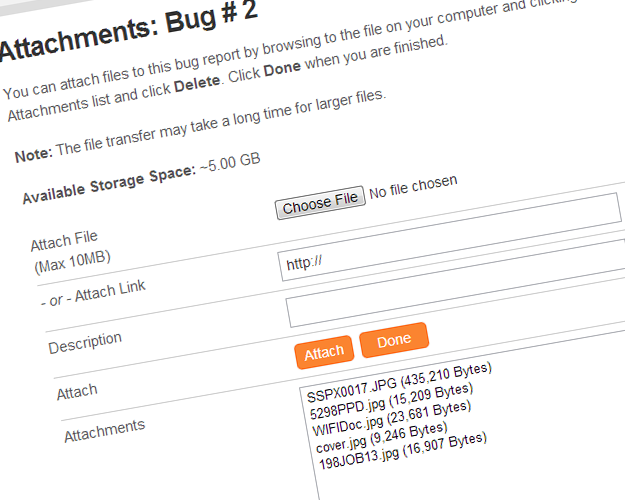 Useful for attaching screen shots, log files, documents, PDF files, or any other type of file. You can also attach links for quick access to the problematic Web pages. Links do not count against storage space. Bugs can be linked together if they are related to each other. 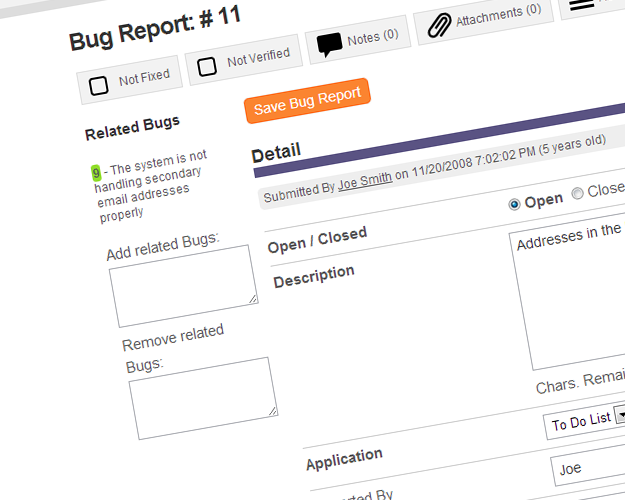 Users can quickly navigate to view the linked bugs from within any of the linked bug reports. Quickly access members in your project and attach the bug report to the body of the message. 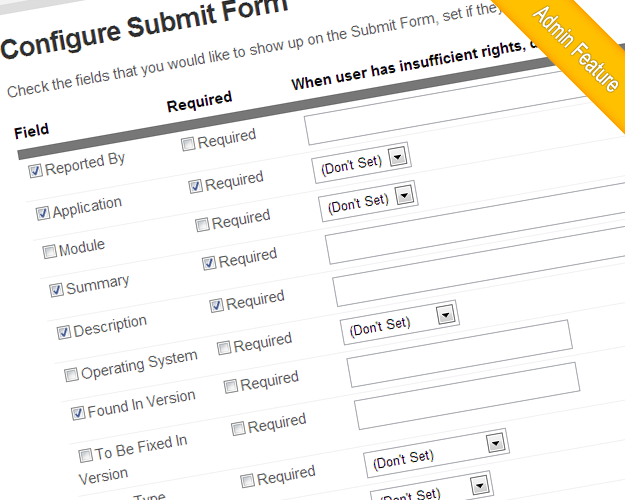 BugHost allows you to set up which fields and actions are allowed either by security group or by individual. 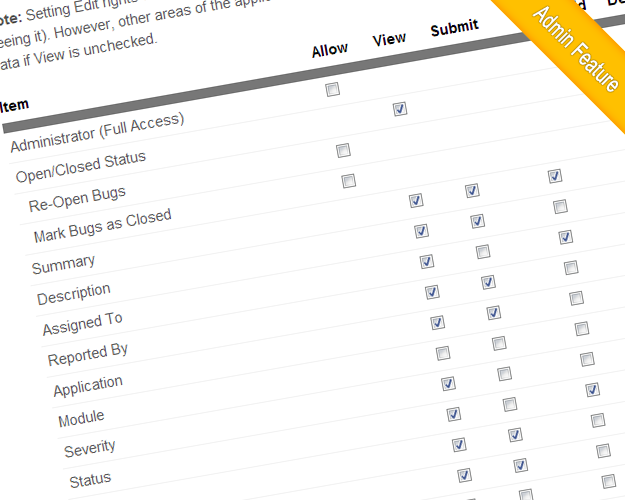 Actions such as view, submit and edit are among the available security settings. 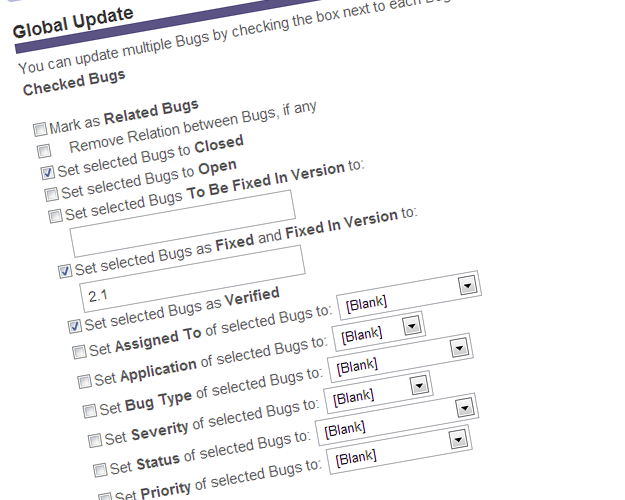 The audit trail keeps track of every change to a bug report. 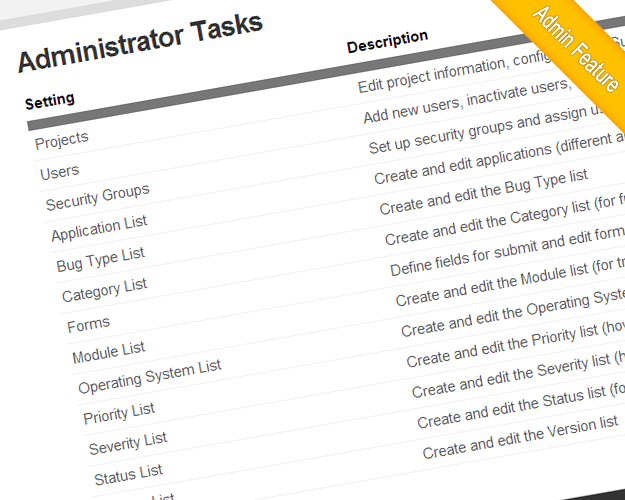 Admins can control if this feature is available to specific users and security groups, or limited to just admins. 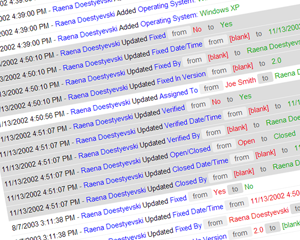 Events are recorded and grouped by transaction so you are able to see everything that was changed quickly and easily. 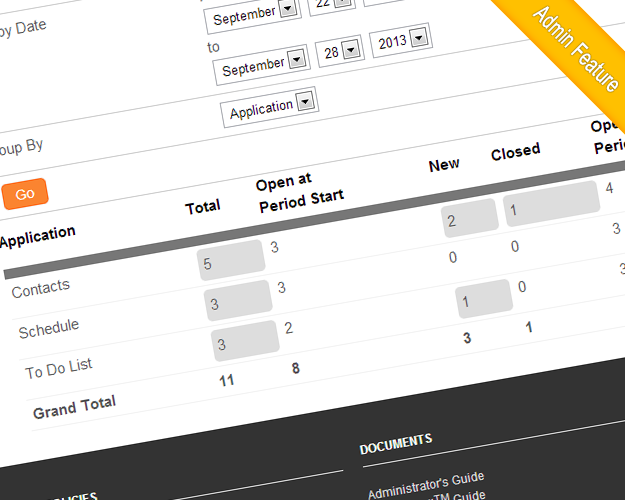 Admins can quickly view the state of your project by viewing the statistics report. It identifies the activity within a selected period of time. Clicking on a number will open a report showing all of the bugs with that criteria. Global update is a feature that allows users to quickly change multiple bugs at one time. 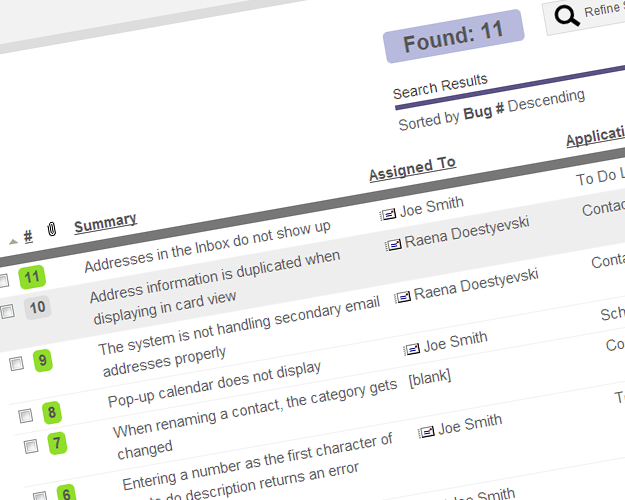 From any search result / report, users can select the bugs and then select which fields will be updated. 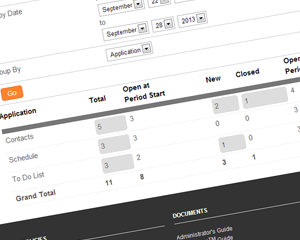 All transactions are recorded in the audit trail. 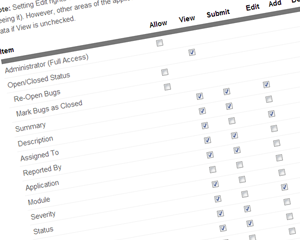 Admins have complete control over which fields are shown and required on each of the bug report forms. 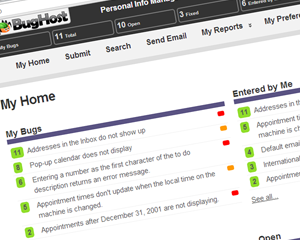 BugHost allows administrators to control and configure all aspects of the system. 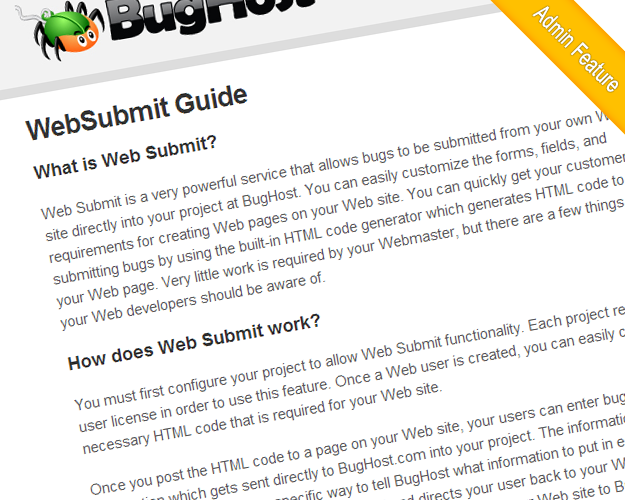 WebSubmitTM is an exclusive BugHost feature which allows you to have a form on your own Web site to submit bugs directly into your project at BugHost. Your customers will not be directed to BugHost - rather, they will remain on your Web site without even knowing the transaction took place on BugHost. 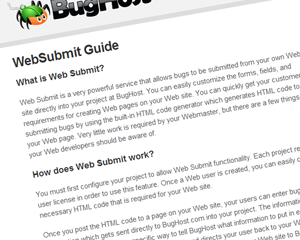 See the WebSubmit Guide for more information.